Hey? What's different here? Click here to find out what is going on. Welcome to the Brewery: a world-wide web server dedicated to providing a comprehensive, high quality, collection of information a bout the art and science of brewing beer. A collection of beer recipes, gleaned from past issues of Homebrew Digest, rec.crafts.brewing, the Mead Lovers Digest, the Cider Digest, and other Internet sources. Large collection of homebrew-related software: shareware, public-domain, and commercial demo software. An interactive recipe database. Browse for recipes, or enter your personal favorite to share with other homebrewers. Pointers to related web sites, FTP archives, newsgroups, FAQs, and related resources. Information about tasting, evaluating, and judging beers. Includes style information and study materials for BJCP judges. 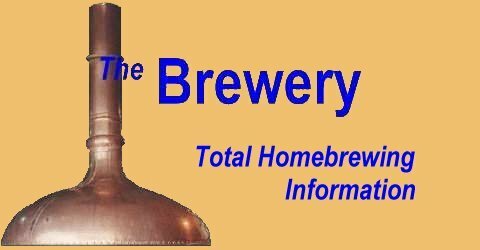 Interactive version of current and past Homebrew Digest issues---includes search engine and hypertext links. Post questions and answers to homebrew-related topics. Bulletin board. New features and resources on the Brewery web server, along with plans for upcoming work. An interactive beer recipe spreadsheet by Mark Riley. Copyright © 1994 - 2000. All rights reserved. No information on this server should be assumed to be in the public domain.